This event is sold out! Thank you for your support. We will be posting the date for our May Dinner soon. We have a special treat – from tiny villages in the remote hills of Oaxaca, we’ll be pouring Siempre Oaxaca (which means ‘Always Oaxaca’). This Mezcal is truly a co-op of dozens of exceptionally small producers, each a Master Distiller whose craft has been passed down through many generations. Taste the terroir of each small Palenque, the care and artistry that went into the product from harvesting wild Agave to cooking and distillation. Want to know more? 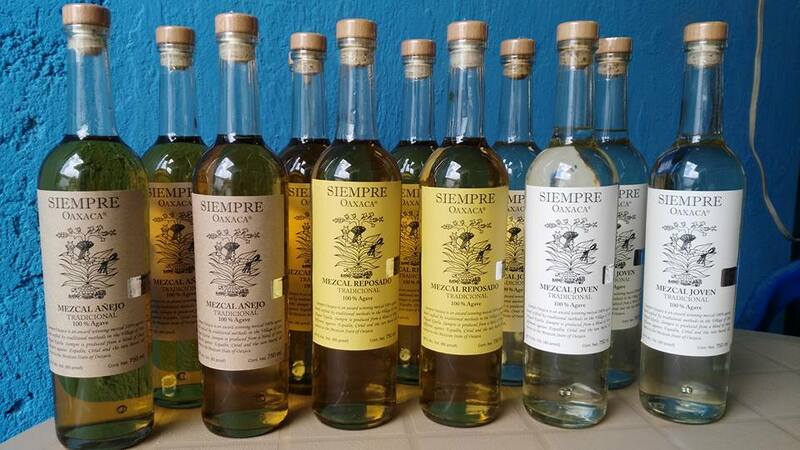 Here’s a fascinating glimpse into this brand by Susan Coss of Mezcalistas: http://www.mezcalistas.com/driving-deep-into-ejutla/ Get in her jeep, bounce along the nearly impassable roads and visit the Mezcaleros in their homes. You’re tasting history. just check the Vegan Option when you reserve your seat!